Revive, the coalition for grouse moor reform is calling on the Scottish Government to act to protect Scotland’s iconic mountain hares. Exactly a year ago First Minister Nicola Sturgeon told Parliament during First Minister’s Questions that large-scale culling of mountain hares on grouse moors is “not acceptable”. A long-running campaign by two of Revive’s partners, OneKind and The League Against Cruel Sports Scotland, had been calling on the Scottish Government to impose a year-round close season on hare shooting until a review by the Werritty Commission on the issue concludes. The two charities stepped up their efforts after publishing harrowing footage last year showing brutal, military style mass killing of Scotland’s mountain hares on grouse moors. Despite this, no action was taken. Shortly after a Freedom of Information request revealed that an average of 26,000 mountain hares are killed in the uplands each year. Mountain hare shooting is one of many country sports offered by Scottish game estates, and grouse moor managers also organise culls of the animals in an effort to protect red grouse for sport shooting. A recent James Hutton Institute report contradicted estates’ claims that mountain hare ticks can infect grouse or that hares compete with grouse for food. 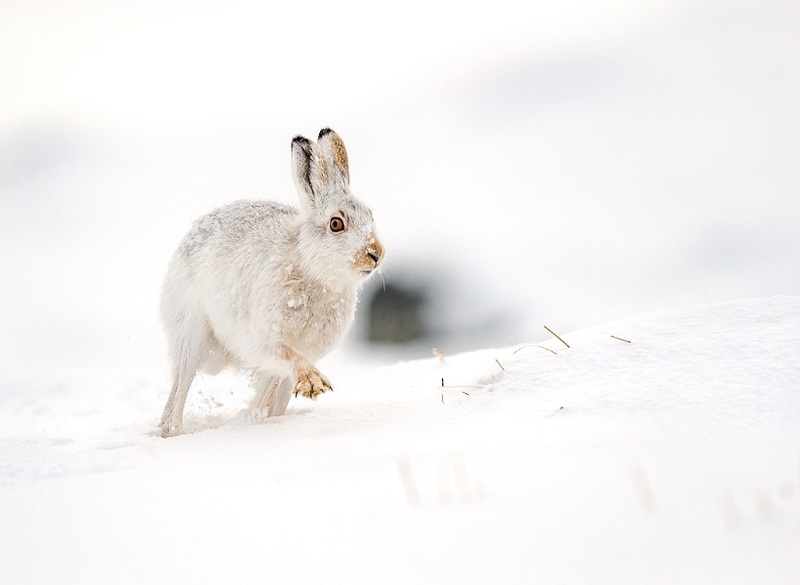 Despite the FM’s commitment that the Scottish Government would explore all options to prevent mass culls of mountain hares and the recent James Hutton Institute’s findings on mountain hares, no measures have been put in place. It seems the snp are not interested in the welfare of our native species only in independence. Really really sad. Absolutely disgusting carnage of a countries wildlife for the benefit of hunters seeking the thrill of killing & gamekeepers murdering native wildlife just to make sure there are even more grouse for these morons to shoot!. Get your priorites & ethics right & put a stop to it! Maybe Wild Justice ,new organization should take someone to court over the legality of slaughtering needlessly 25,000 hares!!!!!!!!!!!!!!! I am disgusted at Nicola Sturgeon and the SNP’s neglect to protect our Scottish wildlife. It would be easy for them to pass laws to protect our wildlife if they really cared enough but their main agenda is getting independence which most Scots do not want. They are on the side of gamekeepers and hunters who hunt and murder our mountain hares, foxes, ravens and other Scottish wild life, to protect the poor red grouse who are bred to be shot and murdered for entertainment. The money paid for this hunting is nothing less than ‘blood money’ and this cruelty must end. There is no room for this kind of barbarity in a so-called civilised society in which human beings live for a more peaceful world.